If you look at recent sales reports you’ll realize Subaru is doing quite well for themselves. The core of their nest selling lineup is made up of three all-wheel-drive crossovers that consistently remain in demand. Subaru has gone through about 74 consecutive months of year-over-year sales increases. And now this year they’re also celebrating another milestone. It is Subaru’s 50th anniversary of selling vehicles in the U.S. Today on ShopTalk we’re giving you a timeline of 50 years with Subaru of America and the many people who shaped the Subaru as we know them today. Subaru of America began back in 1968 as an importer of a quirky micro-car called the 360. At the time, this was not yet part of a Japanese industrial company, but rather built by two American entrepreneurs — Malcolm Bricklin and Harvey Lamm. Subaru of America was incorporated in Bala Cynwyd, Pa., on Feb. 15, 1968. They didn’t make their own cars and instead acted as an independent import company with an exclusive contract to market and distribute the cars made by Fuji Heavy in Japan. Malcolm Bricklin was president while Harvey Lamm acted as executive vice president and national sales manager. At the time the 360 micro-car was mostly notable for how utilitarian it was and it was also the very first vehicle sold under the Subaru banner in the U.S. It’s not much to remember besides those to facts, it only had a small 25-hp engine. Eventually in the 70s Subaru of America grew into publicly traded, independent, national distribution company. Of course the main reason that Subaru of America went public in 1972 simply because it needed the cash flow. Bricklin eventually left Subaru in 1972 while Lamm stayed on and became CEO, and later chairman, until 1990. However from the 70s through the 90s, Subaru of America grew into a company almost fully integrated into the parent company Fuji, who had much bigger automotive ambitions. While the company found moderate successes with early Subaru models like the FF-1they still weren’t a particularly big part of the industry yet. However it wasn’t cars or product enhancements that made Subaru into the automotive giant we know today, it was global politics. Nearly every Japanese import brand of automobiles, including Subaru were remade into the companies we know them as today thanks to the 1973 oil embargo. For a little historical context, this was when the Organization of Arab Petroleum Exporting Countries’ embargo against the United States, which greatly affected American vehicle owners as gas prices increased while the average fuel economy of domestic cars was just less than 13 mpg. It was in the 70s where car buyers suddenly gained an interest in smaller and more fuel-efficient cars. That was perfect for the Japanese brands, who specialized in meeting those demands. And so, Subaru of America truly felt the benefits of the more fuel economy conscious U.S. consumer base. In fact, in 1974, Subaru sold 22,980 vehicles in the U.S. But by 1977 they managed to sell 80,826 vehicles. By the way, it was in 1974 that Subaru introduced its first four-wheel-drive wagon. The wagon was enough of a hit that it was even marketed and became the official car of the U.S. Ski Team. By 1983, Subaru sold its 1 millionth vehicle in the U.S. In 1986, Subaru of America moved their headquarters to a $15 million, seven-story building in Cherry Hill, N.J., just outside Philadelphia. The real news is that 3 years later they had a manufacturing plant. It was in Sept. 11, 1989, that the Subaru Legacy sedan was the first model off the line and production began. With Fuji more directly involved in Subaru of America’s activities, there were significant changes with the company itself. 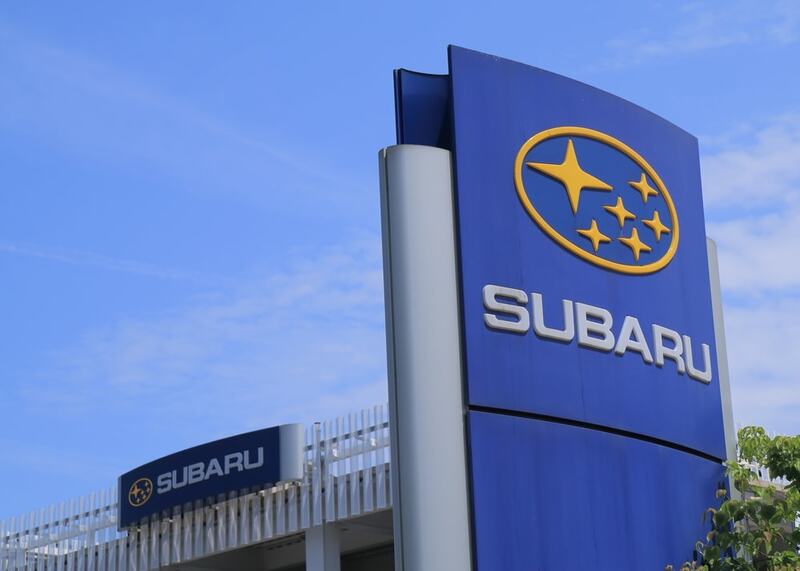 It was on Aug. 31, 1990 that Fuji Heavy Industries acquired full ownership of Subaru of America. Ironically the conditions that made for the opportunity for Fuji consisted of Subaru sales declining. Luckily, Subaru was able to turn to the ad agency Wieden & Kennedy, the same company who worked with Nike on the iconic “Just do it” campaign. For Subaru, the campaign was “What to drive.” And that campaign came right on tome for Subaru to release the SVX, a sporty, high-performance car unlike anything Subaru had in their history. They stayed with the company until 1993 but Subaru sales were still struggling to get back on track. Perhaps it was the times but Subaru may have feel in decline due to a lack of family vehicles besides station wagons. They had no trucks SUVs or vans in their lineup. However, Subaru did have one major trump card: All Wheel Drive. They used to call it “Four Wheel Drive” but they switched the branding to “All Wheel Drive” and began offering the option on every car in their lineup. Eventually Subaru started marketing directly towards specific groups who might be drawn to the brand’s all-wheel-drive offerings. 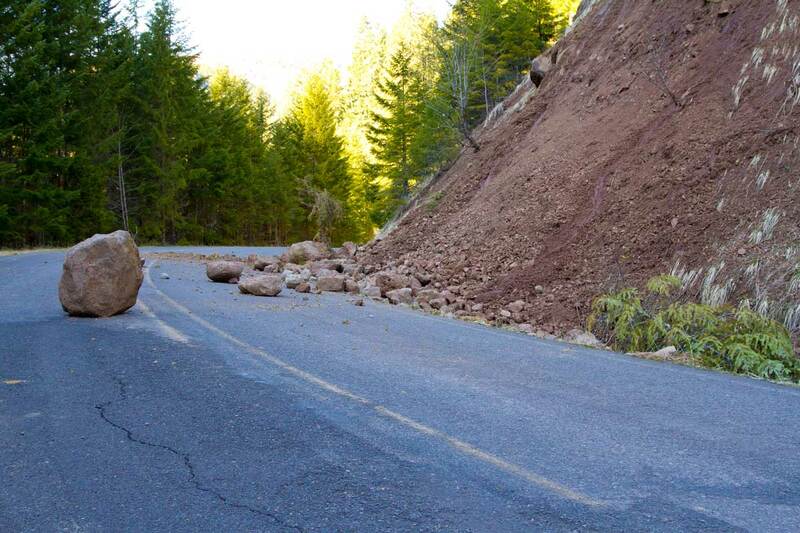 This meant a mix of rugged, outdoors-oriented consumers, such as canoers, kayakers, skiers and backpackers AND drivers who wanted a better commute in even the most challenging conditions. They included health care workers, teachers and education administrators, engineers and other technical types. Eventually Subaru added the Outback, Ipreza and more to their lineup as part of their brand makeover. And it was a success. And it basically set the tone for Subaru onwards. Years have gone by, including a brief partnership with GM (General Motors). There were forays into motorsports too. 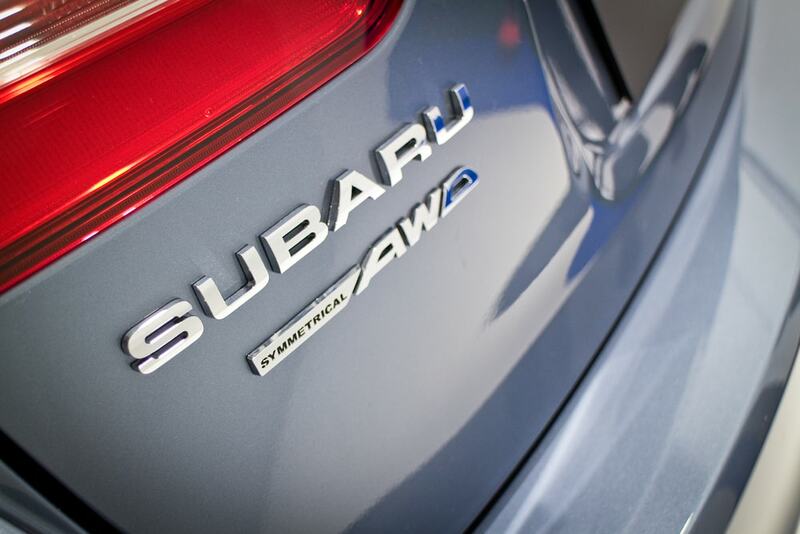 However, right now the biggest challenge for Subaru of America is expanding. Right now they are pushing to figure out how to work with dealers in nontraditional markets. Another hurdle is convincing dealers about Subaru’s future product plans and the brand’s new directions overall. 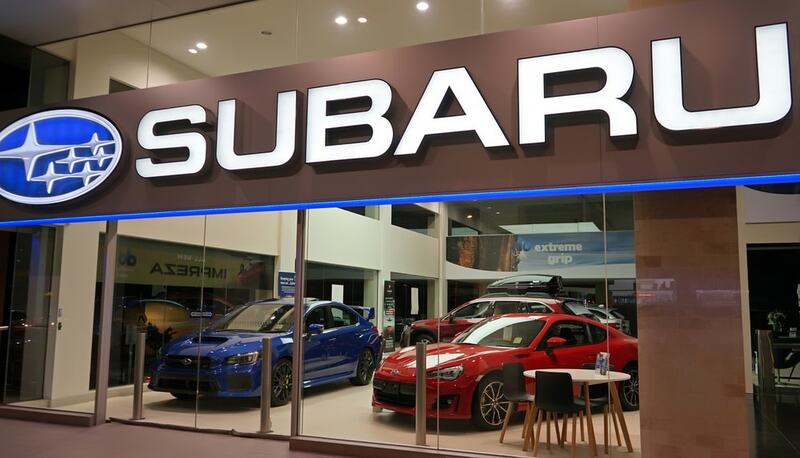 In order to maintain growth, Subaru is pushing on increasing its retail service capacity. And it seems to work: in major metropolitan areas, Subaru service departments are operating on double shifts and weekends and yet they still can’t keep up with demand. 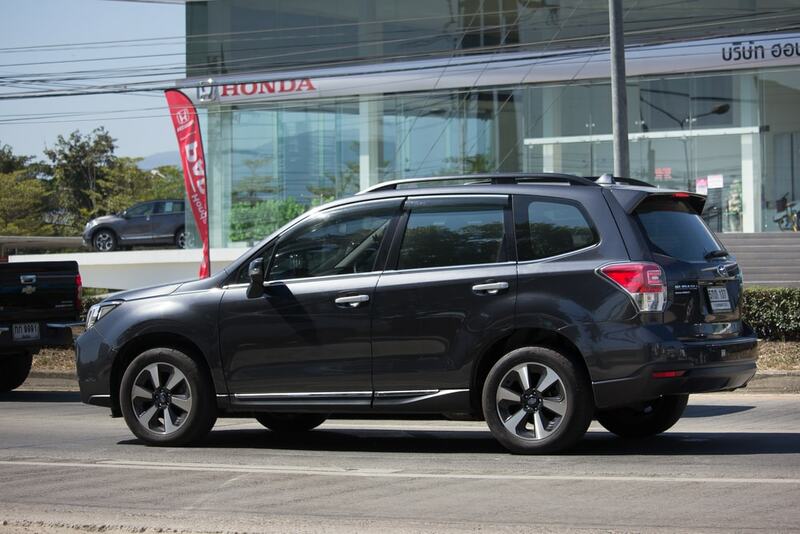 Back in 2013, Subaru began offering financial incentives to retailers. This year will bring more key events. Subaru of America isn’t just moving a new U.S. headquarters in nearby Camden, N.J., they are also launching another round of fresh products. They are also marking 50 years with some truly special cars. At the Chicago Auto Show, Subaru showcases limited-edition models with a 50th anniversary exterior emblem as well as more unique badging on the front seats and carpeted floor mats. The anniversary cars have satin chrome exterior trim, and with the exception of the BRZ, WRX, and STI, the exterior side mirrors also have these details. Every model in the anniversary lineup (which is every car Subaru has) has all of these except the BRZ which lack the special alloy wheels. Meanwhile Subaru of America also revealed a three-row Ascent crossover designed to fill a segment hole in early summer, while there’s a next-gen Forester coming soon. We also hear rumors of a plug-in hybrid variant of existing models too. Subaru Corp. believes their U.S. Company will manage to succeed in the shrinking overall market and deliver sales growth. If they succeed they would set another yearly record, with about 680,000 sales. What do you think of this milestone that this auto giant has accomplished? Did you think that they would make it this far or did you think they would have floundered decades ago? Let us know in the comments section below!